The line of functionality between supervisory control and data acquisition (SCADA) and distributed control system (DCS) is blurring. These two traditionally disparate technologies are now seen as competitors in similar application environments. Still, the changing nature of globalization means there remain distinct benefits in using SCADA as an umbrella layer on top of a DCS core. Not many things in life remain constant and ultimately change is inevitable. The much-loved cartoon show "The Simpsons" seems to have flouted this rule as it enters its 25th season. The show has captivated millions for nearly a quarter century. One key reason for its success is the protagonist, Homer Simpson. Viewers can relate to his on-screen antics and naivety. His lovable nature, however, seems somewhat paradoxical to his job as a safety inspector at Springfield's nuclear power plant. It's frightening to think that human beings, with our haphazard Homer tendencies, still form an integral part of such a highly regulated, automated and controlled environment. At the heart of such environments lie platforms such as DCS, which has developed over the years from humble beginnings as a single-loop controller, housed in a panel. It is now cheaper and more intuitive, partly as a result of the use of programmable logic controller (PLC) interfaces. The strength of a DCS lies in a single database setup with minimal complexity and low risk of data redundancy. Recent developments have seen a push toward better smart-reporting and relaying of management information (MI) through Human Machine Interfaces (HMI). On the other hand, the supervisory control and data acquisition system SCADA, has developed from a simple visualization tool used in a bank of relays. It has reached a point at which it can provide an increasingly object-oriented approach, storing hard input and output (I/O) tags from numerous devices in its fast historian databases. Simultaneously, it can maintain its inherent flexibility by storing soft logic operation tags and using these to generate HMI-based mimic diagrams and trend and diagnostic data along with MI, troubleshooting, logistics and maintenance schedules. Advancements in high-power computing have also reduced the complexity of SCADAs multiple database setup and minimized the risk of data redundancy. This means that applications can now take more analytical advantage of the wealth of information available and interpret that data in more intuitive ways. This convergence of the two overlapping technologies has created a level of confusion in the industry. At first glance, it seems SCADA and DCS have become direct competitors, doing essentially the same thing. Vendors are partially responsible for this mis- understanding. In continuous production environments, which are highly proportional-integral-derivative (PID) and PID control-intensive integrated packages are beneficial. Examples of this include chemical, power generation, oil and gas, refining, and water treatment. Buyers look to vendors that provide turn-key solutions with proprietary hardware that requires a minimal amount of customization. However, vendors often use this as a marketing tool and promote overlapping functionality in order to maximize sales. Essentially, DCS systems are sometimes sold under the SCADA label and SCADA is sometimes branded as DCS. This does more harm than good for the industry by blurring the boundaries. The boundaries are evident when the production environment is seen as a garden. DCS is an "inside-the-fence" solution best suited to those continuous, PID control- intensive applications. In contrast, SCADA can be seen as an "outside-the-fence" solution, better suited to geographically dispersed environments using commercial off-the-shelf hardware. 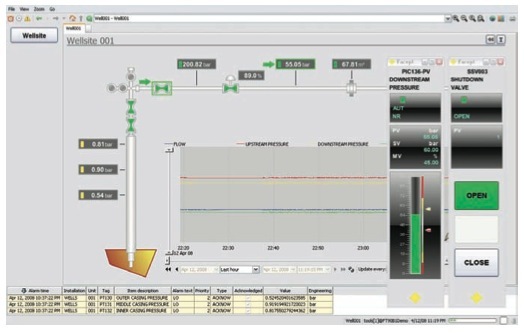 SCADA is traditionally suited to batch and discrete production. Batch production includes food and beverage, pharmaceutical and general processing, whereas discrete production normally describes packaging and automotive applications. The evolution of these technologies has come amid a greater shift in globalization. Supply chain networks are being strengthened by advancements in international trade, improved transport infrastructure and telecommunications, such as fiber-optic broadband. Although this has reduced response times, production environments are under greater stress to deliver. With news of Toyota's recall of 885,000 vehicles in the United States, it is evident that non-traditional duties such as reverse logistics are placing undue stress on production environments. With the rise of multinational corporations diversifying operations, control systems have to increasingly cater to business management operations in remote locations around the globe. The Nord Stream offshore gas pipeline exemplifies this issue. It supplies natural gas from plants in Russia to plants in Germany and is operated from control rooms in Switzerland. A DCS setup performs reliably on an individual plant level, but is unable to extend large distances over various networks. This means it struggles to manage the three remote plants, especially when limited satellite bandwidth issues arise. The use of SCADA in this situation allows business managers to benefit from a rich picture of events. The supervisory capability can be used to respond to political and market demands to remotely control the system, performing initiation and shutdown events as necessary. At Yokogawa, we have always favored an integrated approach. The developments in globalization have meant that new norms in control architecture are now upon us. The irony is that a theory developed in a pre-World Wide Web era is more relevant today than ever. Purdue Enterprise Reference Architecture (PERA) is a reference model for enterprise architecture in computer-integrated manufacturing. Developed in the '90s, PERA theory led to the modern enterprise control standard known as ANSI/ISA-95. The ISA-95 standard breaks down control environments into levels of integration. Level Zero is defined as the physical process in a plant. Level 1 consists of intelligent devices, such as smart-sensing and actuation. Level 2 brings in control systems DCS and SCADA for supervising, monitoring and controlling the process. Level 3 introduces operation systems to manage workflows, such as batch, continuous and discrete, and maintenance and historian activities. Level 4 concludes with Enterprise Resource Planning (ERP) activities, such as asset and inventory management, as well as shipping and scheduling. It is evident that modern developments have blurred the lines between these levels. As such, an integrated approach seeks to complement the robust control of DCS on a plant level, with SCADA as a supervisory umbrella at the hybrid enterprise level. So what of the future? Only five years ago the forward-thinking trend was for real-time information and big data. The Internet justified the idea of context-based events, from alarm notifications to smart diagnostics. Now, the trend is moving toward mobile devices; operators in the field are given autonomy while maintaining a connection to a centralized system. This can bring together disparate resources, such as human capital, in real time, from anywhere in the world. A field engineer on duty at a reservoir site in the Philippines can seek assistance from an expert in the Gulf of Mexico. Wearing a heads-up display, a live feed could be streamed over cellular networks. A new era of HMI is rolling out through the use of intuitive touch-screen tablet devices. Maintenance crews can be notified via satellite ground positioning systems (GPS) of nearby alarms, allowing them to respond immediately, pulling up PDF troubleshooting and data sheets in the process. All of this data is increasingly being stored in the cloud. Although there are still security concerns for mission critical applications, improvements in data encryption mean that this is fast becoming a viable option. As we move toward an uncertain but exciting future, one thing remains certain: change is constant. Human beings are still very much part of the process and will remain so for the foreseeable future. We can only hope that we have as lasting an impact as Homer Simpson. Author: Frank Horden is business development and marketing manager at Yokogawa and has 16-plus years of oil and gas and energy management experience. 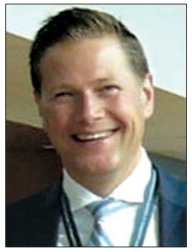 He is responsible for global business development, sales and marketing in both direct and indirect commercial environments for SCADA, DCS, SIS, F&G, MES/ PIMS and subsystems interface solutions. Eprinted and posted with permission to Yokogawa Corporation of America from Pipeline & Gas Journal February © 2014 Oildom Publishing.